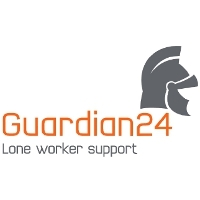 One of London’s leading housing associations continues investment in their staff’s personal safety by protecting 400 of their employees with Guardian24’s lone worker solutions. Approximately 70% of Notting Hill Housing Group’s (NHHG) staff have aspects of their role where they are required to work out of the office in the community. The level of risk that these staff face can vary, from visiting empty or remote properties to being at risk of verbal or physical abuse when dealing with confrontation from clients. The Guardian24 solution is fully compliant with the British standard for Lone Worker Device Services BS8484. It enables users to quickly and easily log their visits when they are going out in the community by calling an automated log line. They record details of their activity and input how long they expect the visit will last. Should their activity overrun or if the user fails to close their activity, the system will automatically call the user to verify their safety. If the user is not able to be contacted an escalation process begins. Additionally, should the user feel that their safety has been compromised, they can easily summon help quickly by discreetly pressing a panic button. At this stage the service will immediately notify a nominated respondent to begin the escalation procedures. From this stage, live audio is recorded and the GPS location fix is increased to every 5 minutes. NHHG’s procedure is that if an alert is raised it goes through to an approved Alarm Receiving Centre (ARC), where the situation can be assessed and escalated to the Police if necessary. Therefore NHHG users can be assured that should the need to raise a panic alarm be required, help will immediately be on hand. Using an ARC response removes pressure from managers to respond to calls and gives management the peace of mind that an accredited body is available to act accordingly should an incident occur. The staff of NHHG can go about their customer facing activities with the knowledge that should a situation arise where they feel their safety has been compromised they can feel reassured that they are not alone and help will be on hand should they need it.